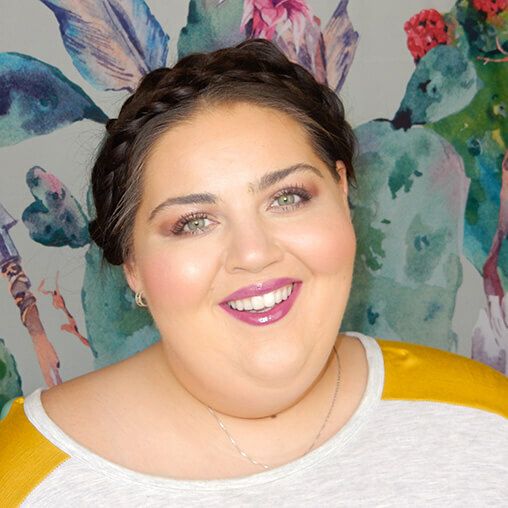 See how Dia&Co beauty adviser Victoria Donelda let our new arrivals inspire beauty looks for every spring occasion. Spring has finally sprung! Now’s the time to bring in pops of color, dust off our pastel sandals, and usher in the revival of glowing skin and blushy cheeks. 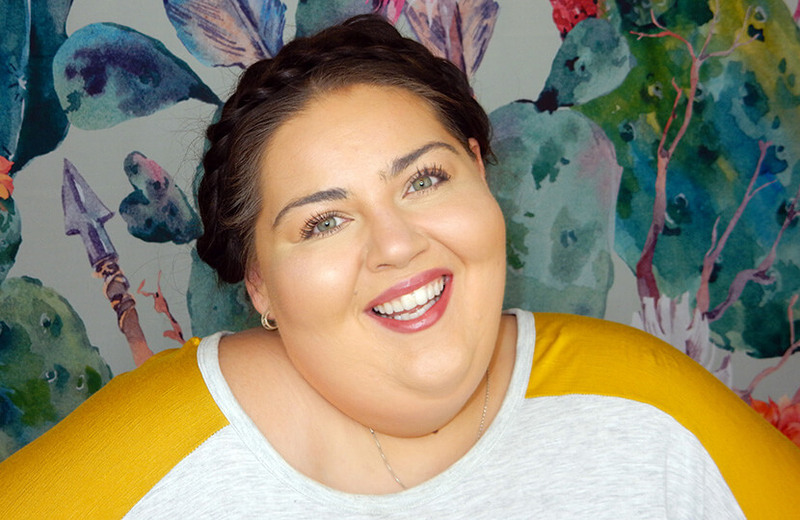 With so many different events scheduled this time of year, I created two makeup looks to inspire you for every activity. This guide will help you incorporate some color into your ensemble and boost your skin’s radiance for spring-ready style, no matter how dressy or casual the occasion. A lot of my job revolves around me wearing makeup, so when I have some free time, I like to be a bit more relaxed and keep it simple in all aspects of my style. I love this casual outfit, from the fedora to the cuffed trousers. 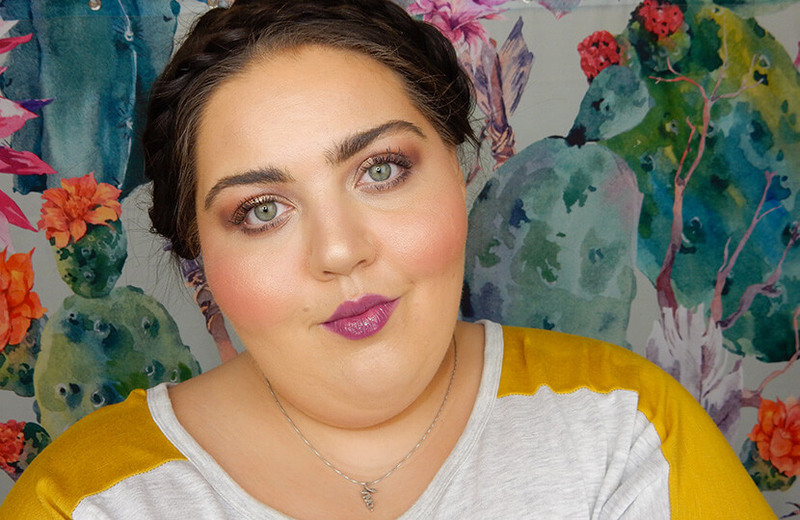 I decided to recreate my favorite glowy and bronzed look to accompany the relaxed style. 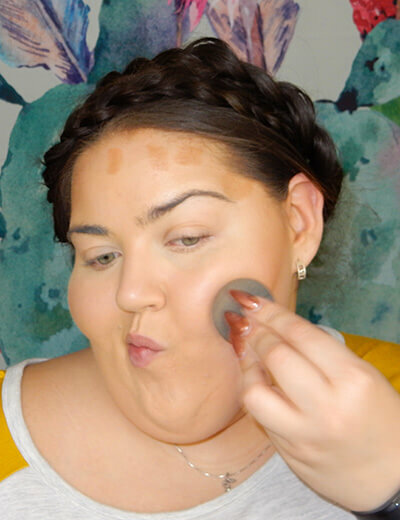 Add bronzer to the perimeter of the face. Shade a little between the hairline and forehead, under the cheekbones, and through the eye sockets. Blend! 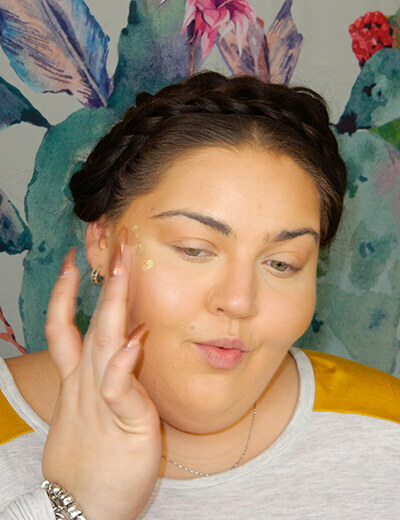 I like to blend the bronzer up rather than blending the product down. This makes sure I won’t end up with excess shadows on my face or shorten my hairline. 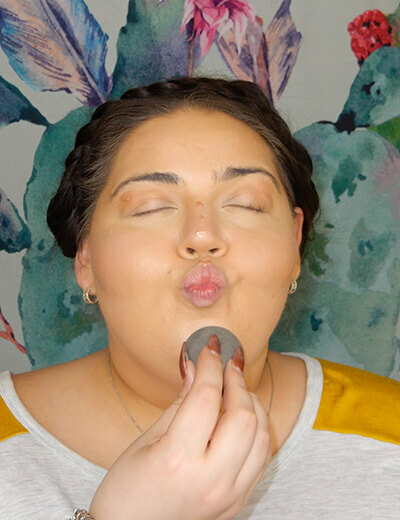 Add the bronzer through the natural sockets of your eyes for just enough shadow and depth to look like you’ve spent a little time in the sun—then pat a touch of shimmer on the lid. Use your blending sponge to diffuse the product—or warm the product up with your fingers and apply. Finish off the look with a sheer lip tint (patted in with the fingers for a softer pout) and a coral blush at the apples of your cheeks. 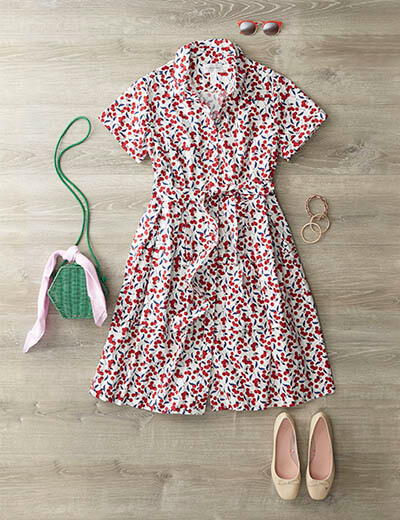 I fell in love with this sweet cherry dress and immediately thought of about 10 different events I wanted to wear this outfit to this season. 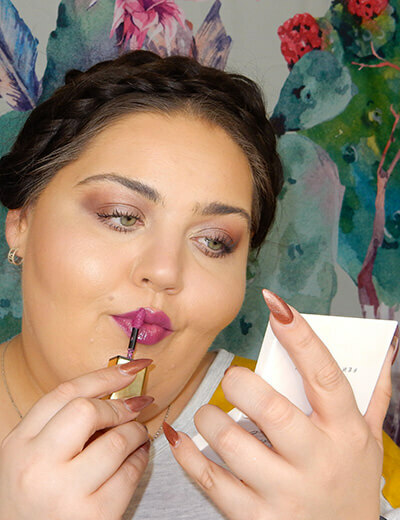 I really wanted to create a look that would feature this dress, so I decided to do my 5-minute smokey eye, a natural fluffy brow, and pair it with a blush color that complements the purple and pink tones. 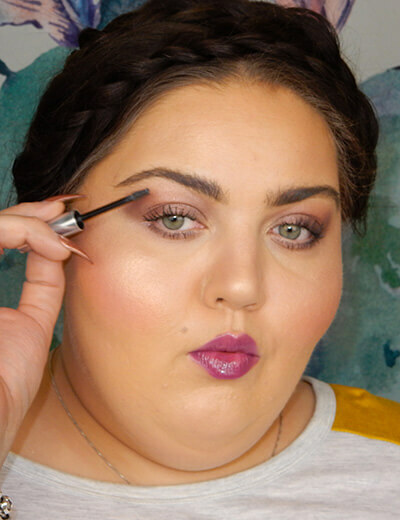 Apply color to your lid straight from the shadow stick. Most cream shadows dry down fairly quickly and have long-lasting power, so work one eye at a time in layers. 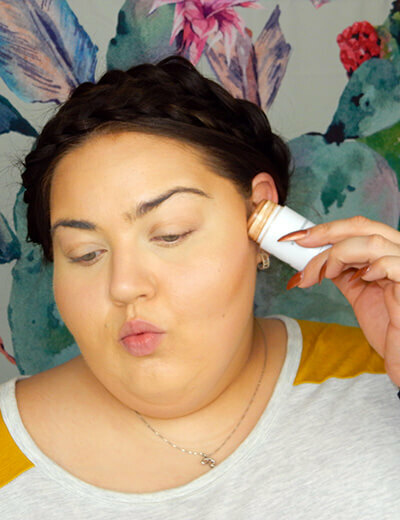 Don’t forget the lower lashline! 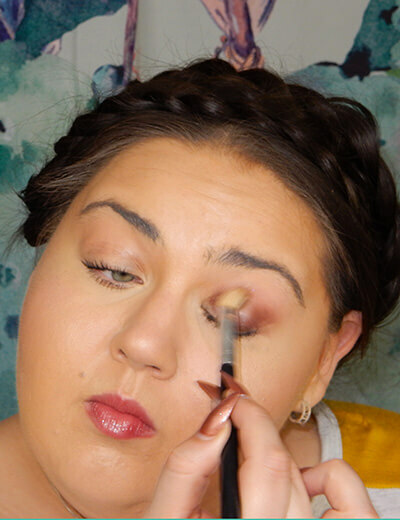 Keep the edges of the color soft and blended so there isn’t a harsh line, then highlight the inner corner to brighten the eyes. Add a generous amount of mascara and gloss to showcase your lashes and lips. 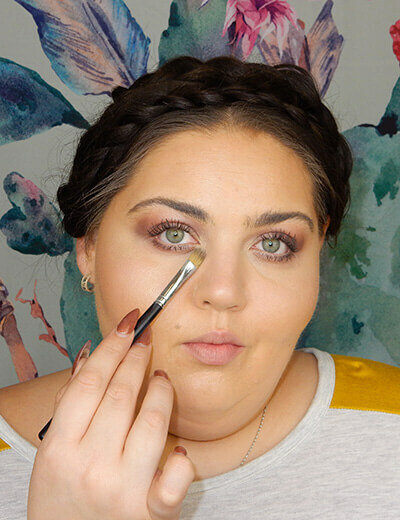 Follow the architecture of your eye instead of mirroring the brows. 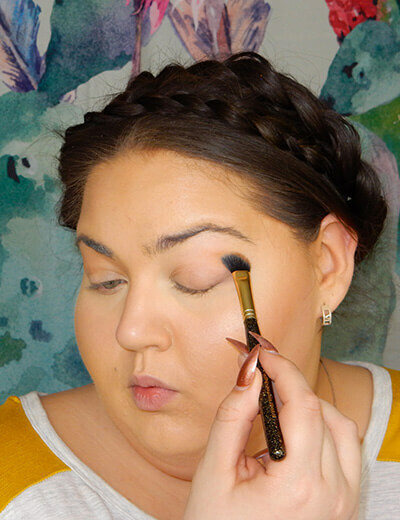 Then layer on a brow gel to hold everything in and bring back some much-needed texture. 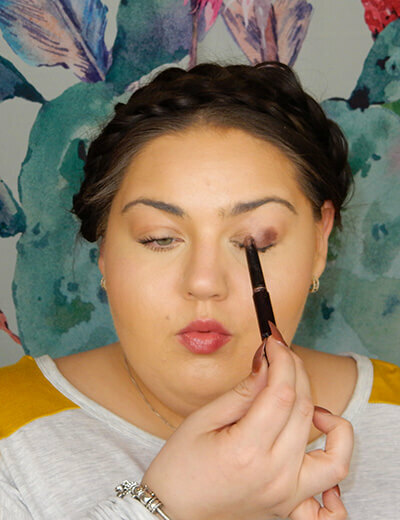 Balance the full brow with a nice pop of blush to the apples of your cheeks for a fuller and rounder look. Some of us who have fuller faces have been told to prevent this our whole lives, but it’s such a beautiful and youthful look! 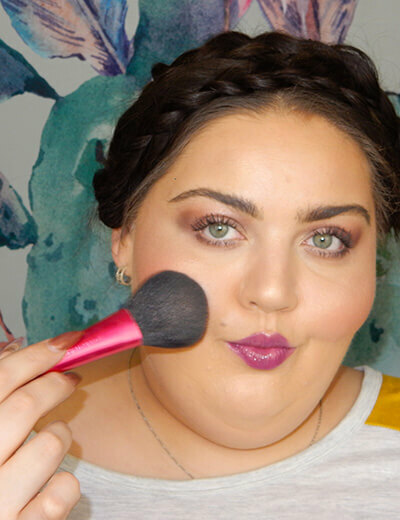 Round cheeks scream happiness and give us a little bit of a baby face quality—what’s not to love? 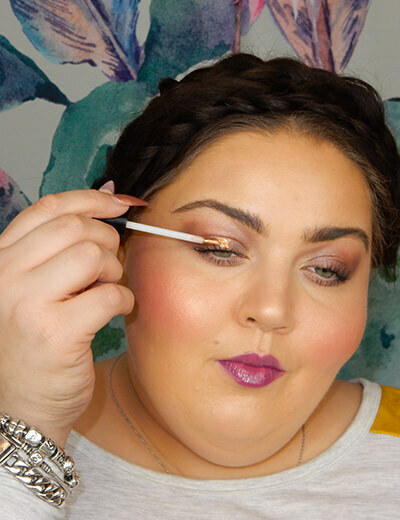 Add a pop of sparkle to your lid with a copper glitter. This complements the orange and gold tones of the blush and ties everything together for an effortlessly purposeful look. Spring is the best time of year to refresh your look and add more color to your life. 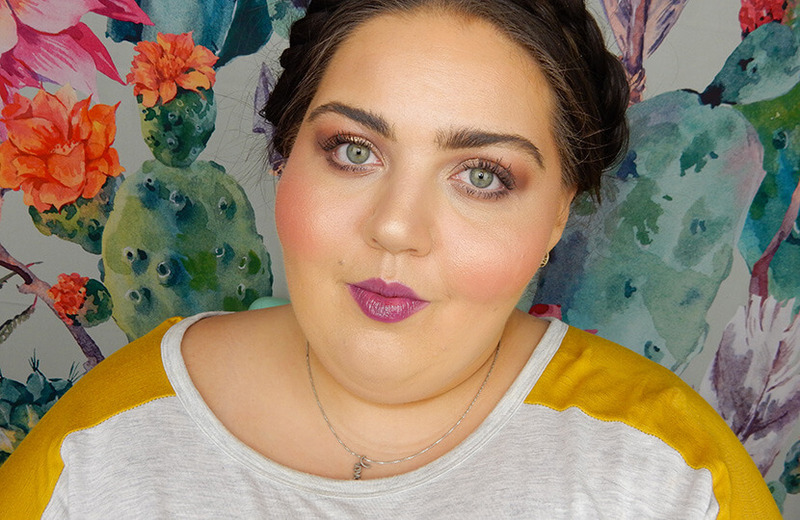 Try bringing in a lively, colorful accessory and a bolder lip to create that wow factor. For more style and makeup tips, follow me on Instagram. 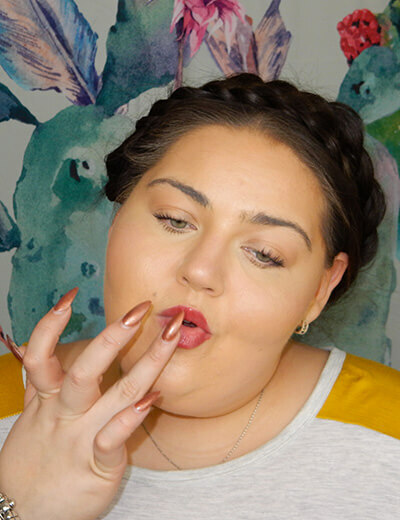 Tag me in any looks inspired by this post so I can see what you all are up to! 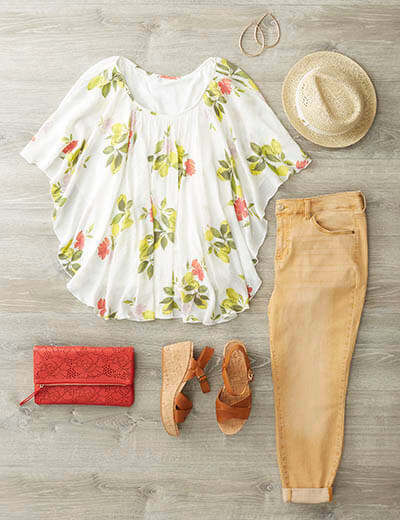 Love these spring-ready outfits? Request the styles in your Dia Box!